We have to thank our boys on the night watch. 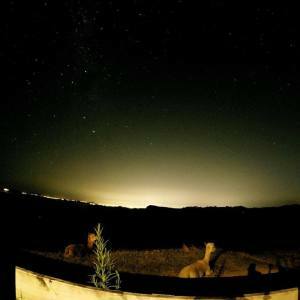 Just to make sure everybody gets a good sleep and is nicely tucked up safe and sound in bed, Scooter and Pepe, our two alpacas, keep an eye on us. Their paddock overlooks the Mahurangi Regional Park and back to Auckland. You can chat to the boys from the deck in your B&B room. Where: Mahurangi Regional Park; 65km north of Auckland. Getting there: There are three prongs to Mahurangi Regional Park. To reach the main area, head north from Auckland city on SH1 and keep going until the end of the Northern Motorway. At the roundabout turn right on to Grand Drive and follow the road, still SH1, into Orewa and around the bays past Waiwera, until you see the Mahurangi signpost 6km past Wenderholm. Turn right into Mahurangi West Rd, then right into Ngarewa Drive and keep going to the end of the road. To reach Scott Point, on a peninsula south of Snells Beach, turn off SH1 at Warkworth and follow the signs to Snells, then about 1km past the beach turn into Ridge Rd. 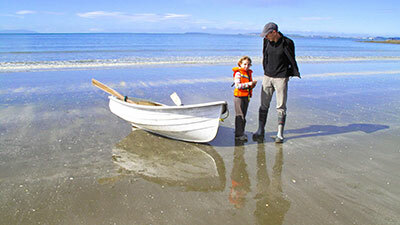 The most remote part of the park, Mahurangi East is accessible only by boat. How long: About an hour’s drive from Auckland CBD. What to do: Mahurangi is a great spot from which to admire and appreciate large tracts of regenerating native forest. Rangers, with help from volunteers, have planted more than 70,000 trees, which are now attracting tui, grey warblers and shining cuckoos. The main part of the park includes three gorgeous bays – Te Muri, Sullivans and Mita – which are all good for swimming, kayaking and boating. There are several walks around different parts of the park, of varying difficulties, all taking two to three hours. The walks take in clifftop views from Tungutu Point stretching across to the Coromandel on a clear day, a historic cemetery, mudflats and, at Scott Point, the historic Scott Homestead. At low tide you can walk from Scott Point across to the Maunganui conservation reserve. If you are looking to stay longer than just a day, there are also several baches within the park, and two campsites. Hungry? There are no designated picnic sites in the park but there are plenty of gorgeous spots where you can throw a blanket on the ground. Bring your own gas BBQ if you want something hot. Liz Light sets out on her favourite Mahurangi walk. Leaving the main highway north, Mahurangi West Rd runs along the ridge, curvy and undulating, hugging the contours of the land. Northland’s soft, golden hills unfurl, with Mahurangi Harbour’s pewter fingers weaving between them. The sky is a careless, infinite blue; the sea is darker shades of aqua, cobalt and silver. After 5.9km, turn right on to Ngarewa Drive, which ends at the gate of Mahurangi Regional Park. To the north, in the park, Sullivans Bay has a campground and car park. For those for whom a walk really means a gentle stroll, the beach is a sandy 400m and, except when a northeasterly blows, little waves make it a pleasant place to swim. 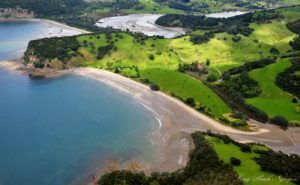 But Te Muri Beach, to the south, marks the beginning of my favourite walk – a loop along the beach, around the point to Wenderholm, up Puhoi River and over the ridge back to Te Muri. This takes two to four hours, depending on swimming, dawdling and picnicking time. Te Muri is a paradise because it has no road access and all those people with picnic stuff and beach toys don’t come here. Also, the estuary can comfortably be crossed three hours either side of high tide, so planning is needed. It’s 400m down the hill to the estuary, which reduces to a shallow stream at low tide. We step-stone on to Te Muri and relish the wide, open freedom of a beach to ourselves. We swim and paddle in crystal shallows where shoals of little fish seem, at first, to be sun patterns in ripples. At the beach’s south end oysters grow on rocks. Black oystercatchers are already feasting. I’m unsure how they break the hard, sharp shell so choose a stone and an oyster and tap, tap, tap until the shell cracks. The taste is explosive, pungent and rich, touching the fine line where wonderful becomes awful. Half a dozen is enough. We continue south on the rocks between sea and cliffs, peering into rock pools at seaweed, crabs, starfish, kina and slow-moving snails. Above us, pohutukawa cling to the cliffs with long gnarly roots. Around the point Puhoi River, which can’t be waded across even at low tide, stops us from reaching nearby Wenderholm Beach. At a curve in the river where park staff have put a picnic table under a giant puriri, kereru, tui and fantails entertain us as we settle in for sandwiches. We follow the river inland to a farm track. It’s a hot slog up it to the top of the hill, where we stop to gulp water and drink in the view. Te Muri is below us; blue water meets golden sand, trimmed with pohutukawa, and finished off with golden brown grass in this dry summer. The sea is begging to be swum in. 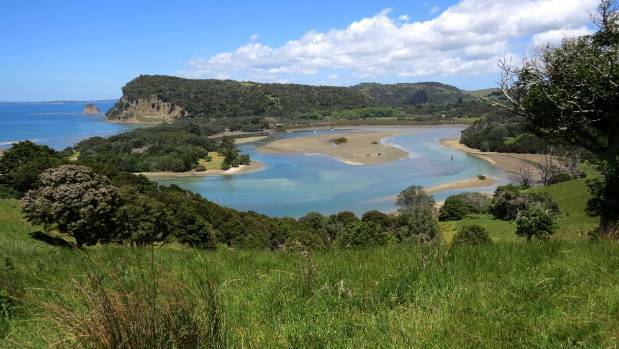 Te Muri estuary is shallow enough to wade across three hours either side of low tide. Lunch: There are plenty of places to picnic. Swim: Take your togs. Te Muri is a heavenly place for a swim. Stop off: Puhoi has an eccentric pub. Map & information: The park is 50km north of Auckland, off SH1.